Designed to provide a fast, high-quality solution for sample making and short-run production of folding cartons. 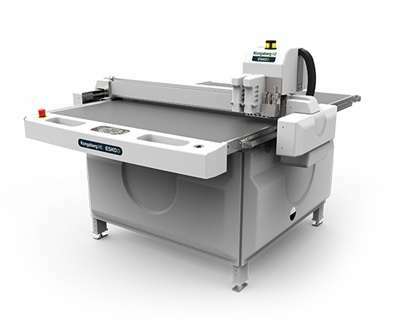 The Kongsberg XE Series is a smaller format platform digital cutting table. It is designed to provide a fast, high-quality solution for sample making and short-run production of folding cartons. With the Kongsberg XE Series, users can expect a digital finishing solution that outclasses others in both productivity and precision. Assisted by a rack-and-pinion X/Y drive with precise motion control, a new, fast servo system and complete tool set, the XE tables deliver high operational speed and precision—with easy operation. ArtiosCAD is the leading choice in structural design software for packaging. Combining ArtiosCAD with the Kongsberg XE sample making table brings efficiency and quality output. This integrated CAD/CAM solution assures a minimum of time is spent on preparing table output. ArtiosCAD makes more information available to the table operator and ensures that line types and CAD functions are correctly handled by the table control software. Obviously, the table opens and works from CAD files directly. There’s no need for a special vector file for table output. 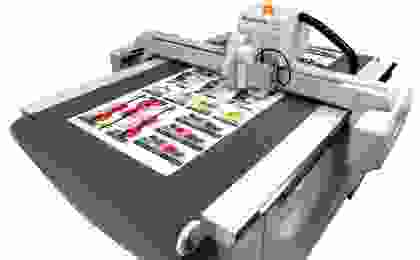 The Kongsberg XE is the perfect digital sample making table for folding carton and more. The Kongsberg XE provides fast results at the highest quality. 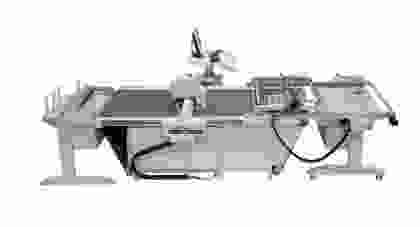 A wide range of specialty tools offers speed, power and flexibility to automatically handle a wide variety of materials common in sample making, such as corrugated, folding carton, solid board, foam, coating blankets, wood and a long list of plastics. But, the Kongsberg XE is much more than a sample making table. It also provides an excellent solution for the production of varnish blankets for offset printing. The Kongsberg Series can produce partial cuts with exact depths - along with perfect registration for the printing press - and that’s why it is cost-efficient for the preparation of spot varnishing blankets for commercial print work and folding carton packaging. Today’s packaging design and production departments need a fast solution for sample making and short-run production. The Kongsberg XE Series has been developed to deliver just that. 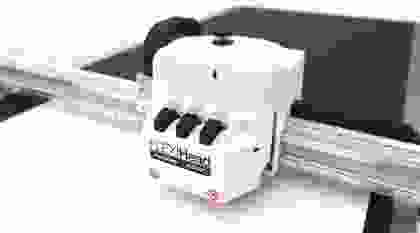 Manual cutting or expensive dies are a thing of the past. The Kongsberg XE realizes fast packaging runs (from one to several thousand) with stunning results.